The how-to on enjoying Chef Ouita’s farm-fresh menus, as well as what to do nearby. Ouita Michel was participating in farm-to-table before it was even cool. Her restaurants have purchased almost $3 million of Kentucky-grown meats, dairy products, fruits and vegetables over the last 16 years. This is your guide to enjoying all of Ouita’s famous restaurants as well as how to make a day of it while exploring horse AND bourbon country. Where will your first stop be? 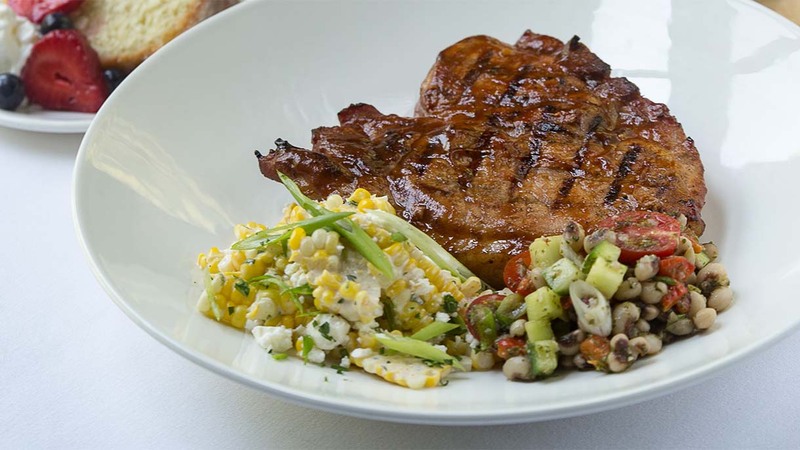 Honeywood is dedicated to using as much locally-grown meat and produce as possible in its menu items. With an extensive menu featuring everything from sweet potato beignets to a duck-fat basted New York strip, this charming restaurant also offers a special brunch menu on Sundays. 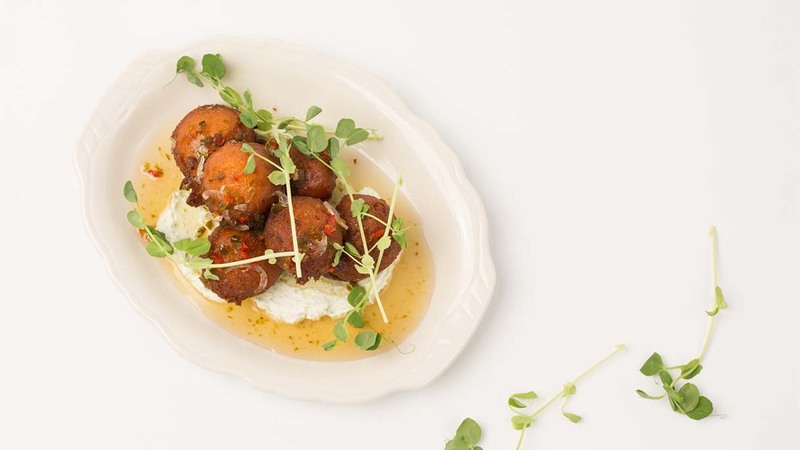 Sweet Potato Beignets, Howard’s Pork Chops & Beetloaf. Explore and shop at the Summit at Fritz Farm. Located in The Summit is Kentucky’s first food hall, The Barn, full of local cuisine including Ouita’s second Smithtown Seafood location! A venture full of creative and traditional made-from-scratch dishes that feature local, sustainable ingredients. 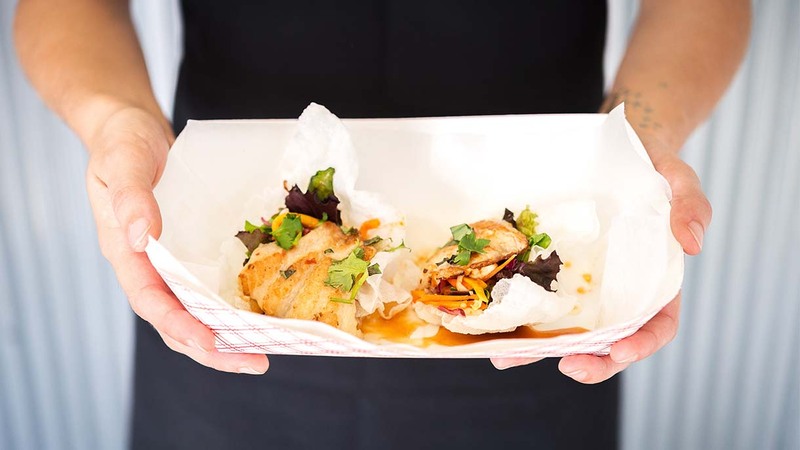 Greens, herbs and tilapia are sourced from neighboring urban farm, FoodChain. Menu options aplenty – wild-caught fried catfish, flavorful salads, fresh-shucked oysters, ethnic Tilapia dishes and more. Buffalo or Blackened Catfish, Calamari Tacos and Singapore Salad. After you grab a bite, take part in a West Sixth Brewery tour! Smack dab in the middle of horse country, everything here is locally grown. Serving breakfast, lunch and dinner seven days a week. Enjoy a fresh, home-style meal followed by an ice cream cone while sitting on the screened-in porch, surrounded by lilacs and horses. 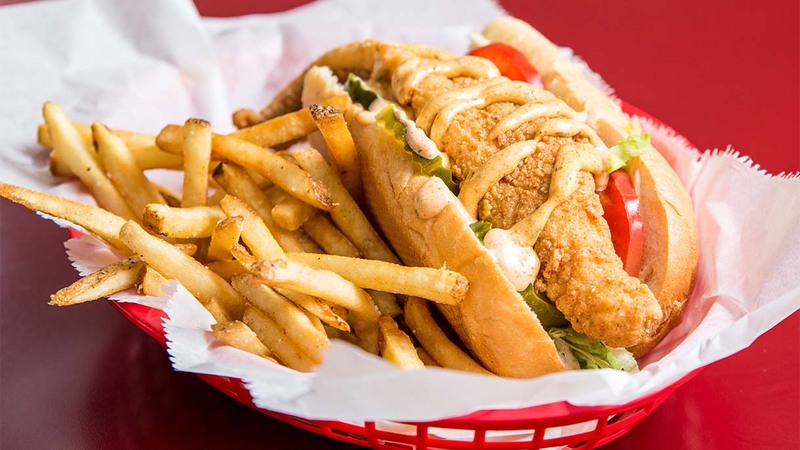 Kentucky Catfish Po-Boy, Breakfast – BLT Egg Po Boy or Pancake Big Breakfast. Book a horse farm tour through Horse Country Inc. at Spendthrift Horse Farm. On the National Register of Historic Places, Holly Hill Inn prides itself on its use of fresh seasonal ingredients and local produce. This fine-dining restaurant offers multicourse and prix fixe menus at dinner and a weekend three-course brunch. Holly Hill Inn’s bar includes more than 50 bourbons and an award-winning wine list. Pork Chop Bourbonnaise, Shrimp and Grits & Country Ham Biscuits. Equus Run Vineyards is just a short 5-minute drive down the road. From cookies and pies to scones and more, Midway Bakery creates recipes from scratch with real butter and natural ingredients. The flours come from Weisenberger Mill down the road, and the chocolate hails from Ruth Hunt Candies in Mount Sterling. 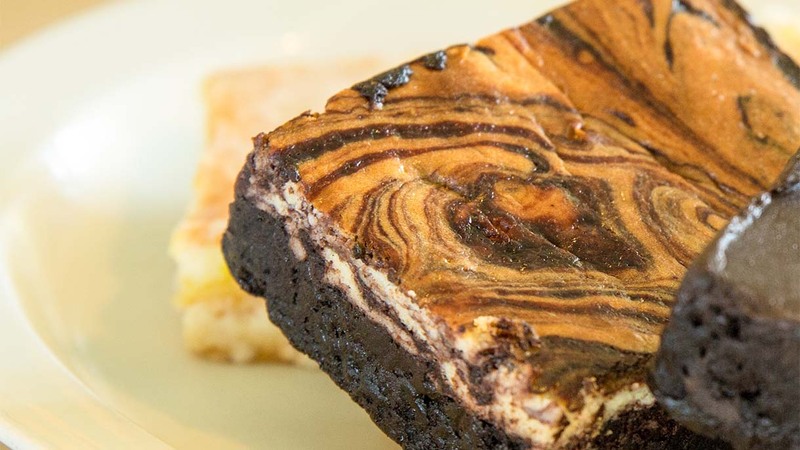 Farm-to-table has always been the norm for this bakery. Chocolate Bourbon Pecan Pie; One or more of many flavors of their BIG, delicious cookies. Enjoy a stroll through Downtown Midway. This quaint main street is filled with boutiques, specialty shops, restaurants and more! Farm hands and socialites alike are fond of all the food found in this country café. Located on a gorgeous Kentucky backroad, in the middle of horse country and not far from the Kentucky Bourbon Trail, this scenic stop has irresistible home-made sandwiches, soups and salads. The Turkey Rachel, Ouita’s Favorite Salad, Country Ham and Pimento Cheese. Before heading to Wallace Station, start your day at Keeneland with morning workouts or an official Keeneland tour. Then take Pisgah Pike to Old Frankfort for the scenic drive to Wallace Station. Enjoy a meal of Ouita Michel’s while experiencing the Kentucky Bourbon Trail at Woodford Reserve Distillery. Glenn’s Creek Café is located in the sophisticated visitors center on the grounds of the distillery. 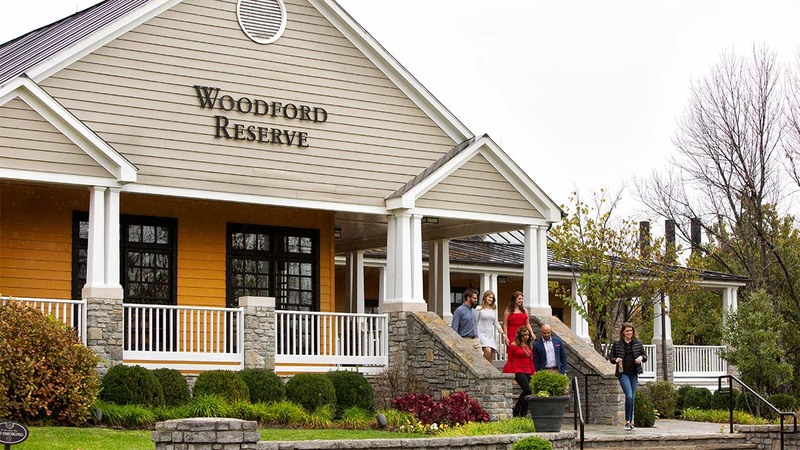 With the mission to prepare tasty food that reflects all the distinctive flavors found in the Woodford Reserve flavor wheel, this is a great spot after a tour. Learn about America’s Native Spirit with a bourbon distillery tour at Woodford Reserve.